“There’s something about the metal chain you see in every train compartment that’s very tempting to everyone. There’s no explanation – folk just find themselves drawn irresistibly towards communication cord.” Taken from issue no. 358 of popular British girls’ magazine Jackie, these words written about several Laura Ashley corduroy styles perfectly describe our reaction to this beautiful day dress. It definitely has a lot to say! 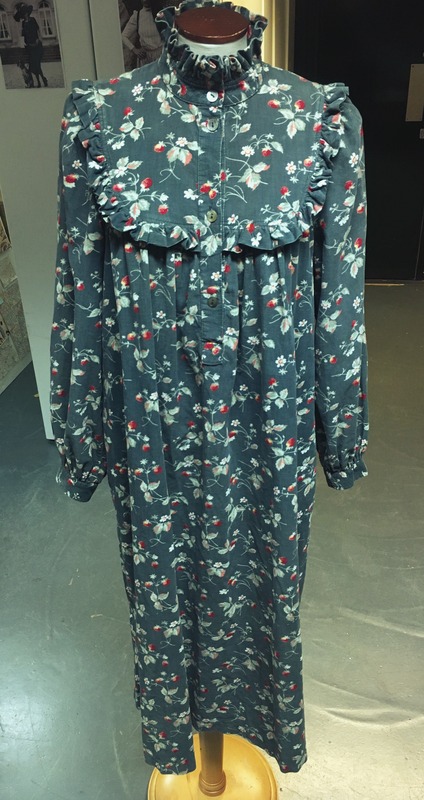 Apart from its high ruffle collar, frill bodice and lightweight corduroy material, all stylistic motifs synonymous with Laura Ashley fashions throughout the 70s and 80s, what we love most about this dress is the garden-like print. Inspired by an antique cotton swatch dating back to the late 19th century, the small strawberry and daisy sprigs are grouped in loose clusters with delicate stems that almost have a calligraphic quality to them. 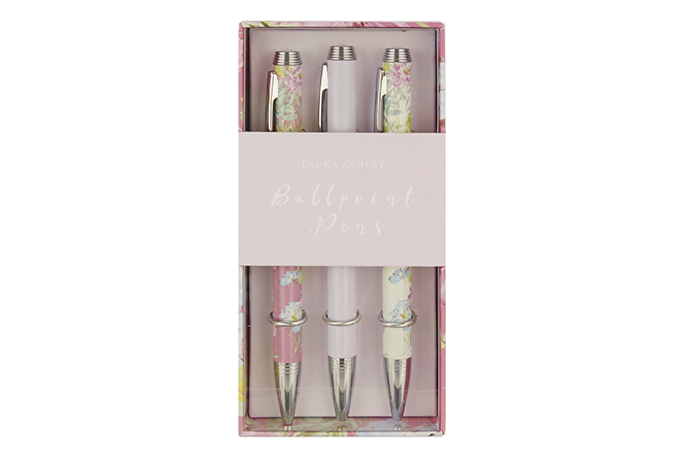 Comprised of 7 different pigments, this design is a great example of the rich printing heritage behind Laura Ashley – remember we did start out in fabric printing back in the 1950s before expanding into clothing and homewares. 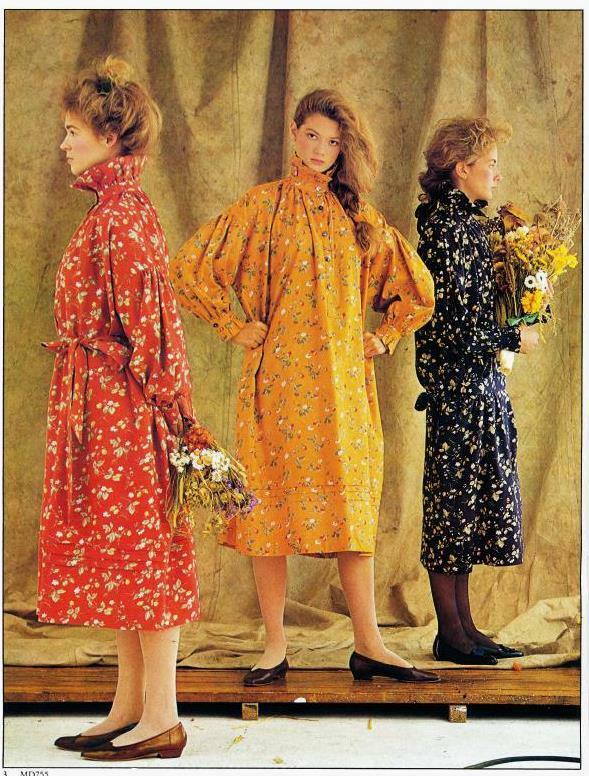 Featured in our Autumn/Winter 1982 womenswear collection, this “feminine, easy to wear, front-buttoning smock dress” is one of only three styles. But as you can see in the campaign imagery, these dresses pack a punch! 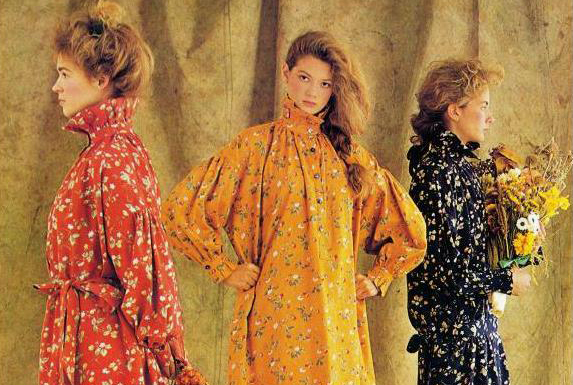 Just look at those ruffle necks, balloon puff sleeves and vibrant hues. Based around the quintessential Welsh farmhouse look, the range was offering bold design, good craftsmanship and high-quality cotton fabrics. With more luxurious fabrics being offered like taffeta and organza, the simpler cottons and corduroys needed to stand out, and from this campaign image they certainly do. 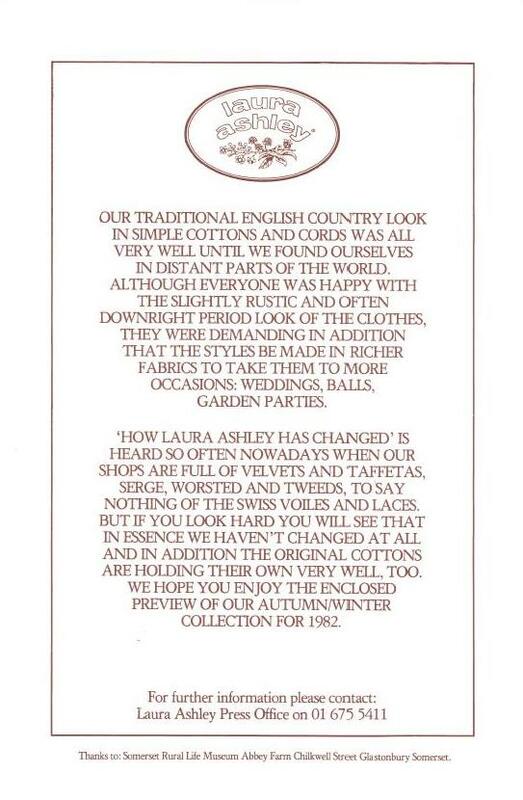 In the accompanying press release, it even celebrates the fact that our staple cottons were “holding their own”. 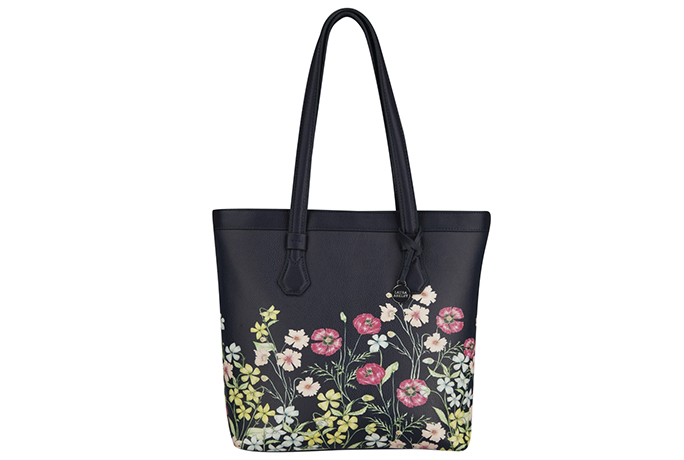 Outside the studio, you can really see the farmhouse appeal of these designs and the strawberry print in particular. 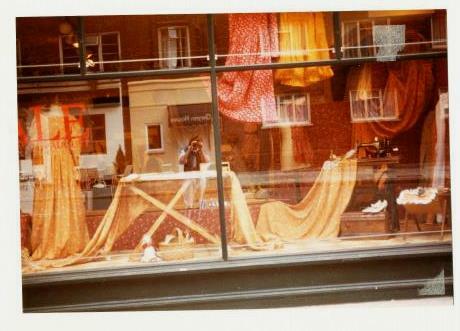 Found in an uncatalogued collection of visual merchandising images here in the archive are these two photographs. 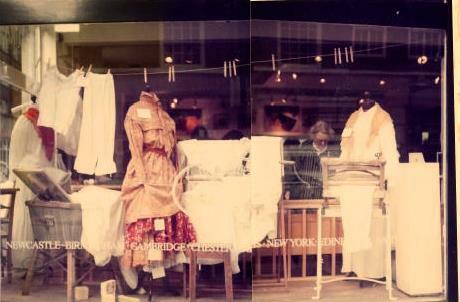 Styled in two London-based shops in September 1982, these windows shown here depict an old-fashioned laundry room scene with numerous washing and ironing utensils. They definitely paint a picture of a quaint, rural lifestyle and if you look closely enough you can pick out the strawberry motifs on the mannequin’s underdress and also on the dress suspended from the ceiling. As mentioned in the beginning, this piece was given by a fellow Laura Ashley colleague and we would like to thank her for her generous donation. 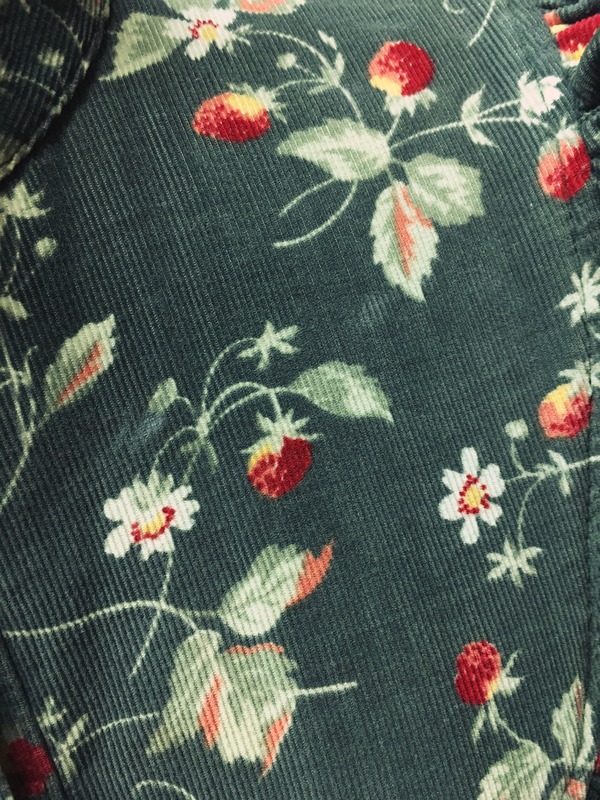 Other than our widely popular Strawberry Field print of the 1990s, we currently have no archived styles for this earlier strawberry collection and so we were extremely thrilled to receive this dress which has already become a massive hit here in the office. 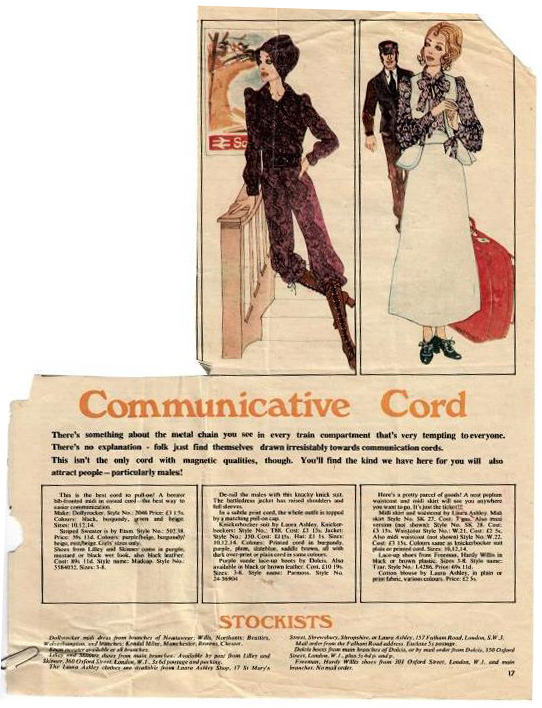 Like it says in the Jackie magazine article, “this is the best cord to pull-on!” and we couldn’t agree more. 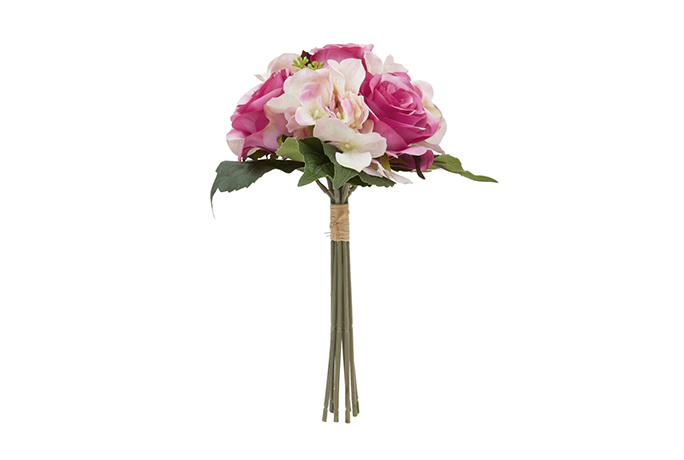 Let us know what you think of this cord style in the comments below or tweet us @lauraashleyuk. 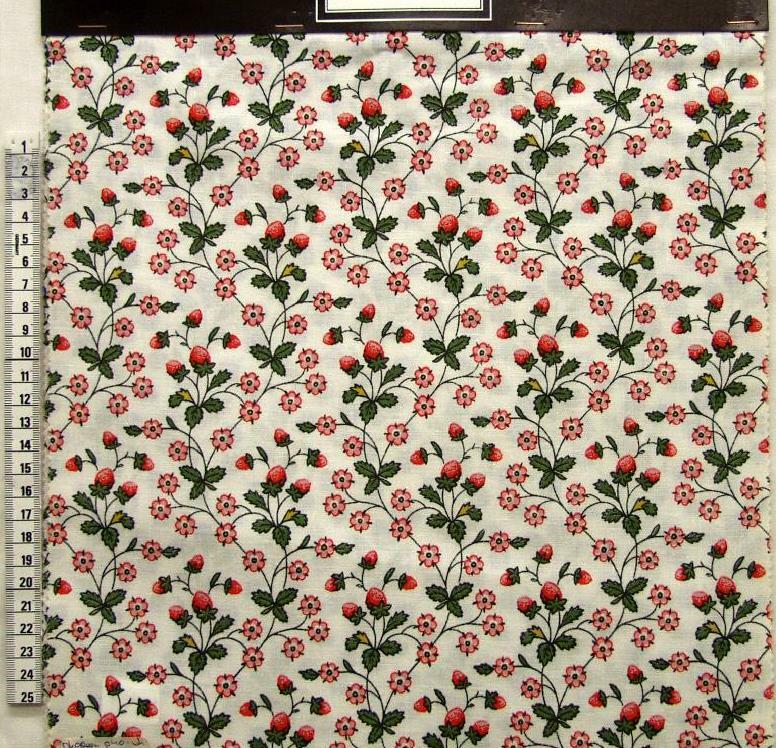 Want to donate to the Laura Ashley archive? 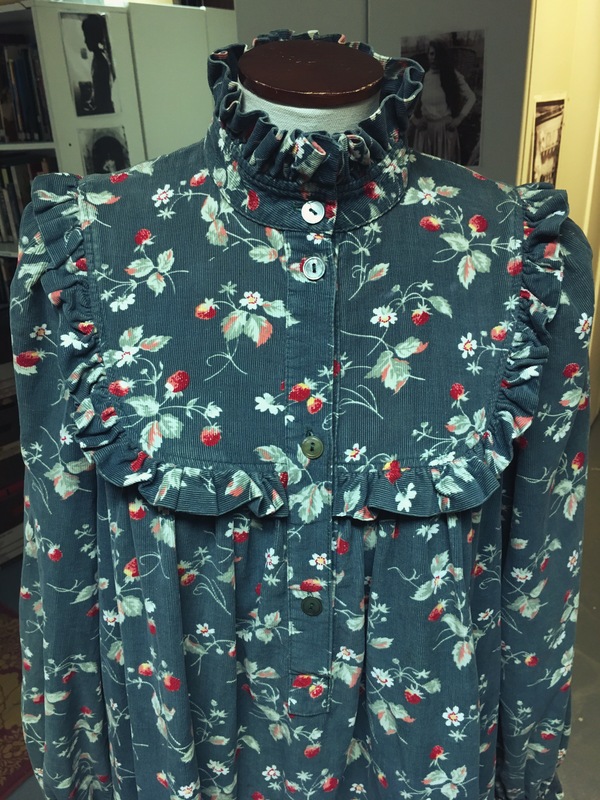 If you have a piece like this, or any other for that matter and are happy to donate it to the Laura Ashley Archive then please feel free to email luke.moss@lauraashley.com for further details. 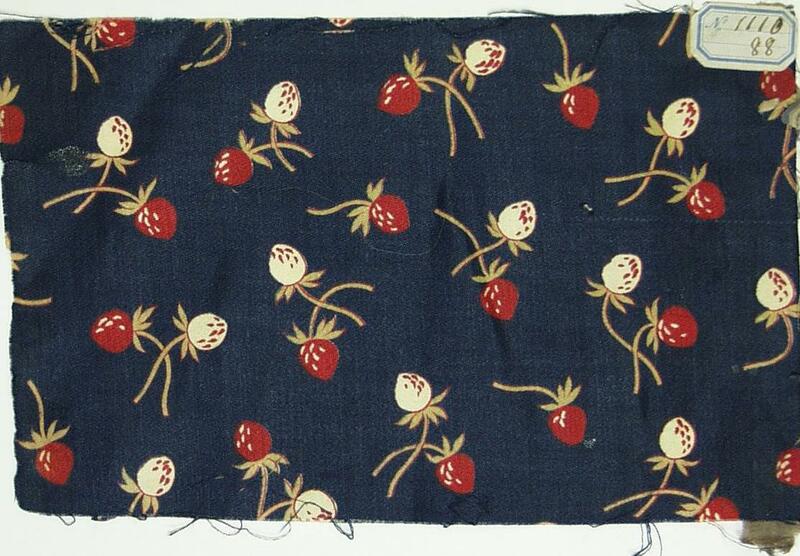 I have this corduroy dress with strawberries (in red). It is still perfect and I always wear it to be comfortable and elegant at home. Wonderful!